Protesters in Trinity Bellwoods Park February 25. 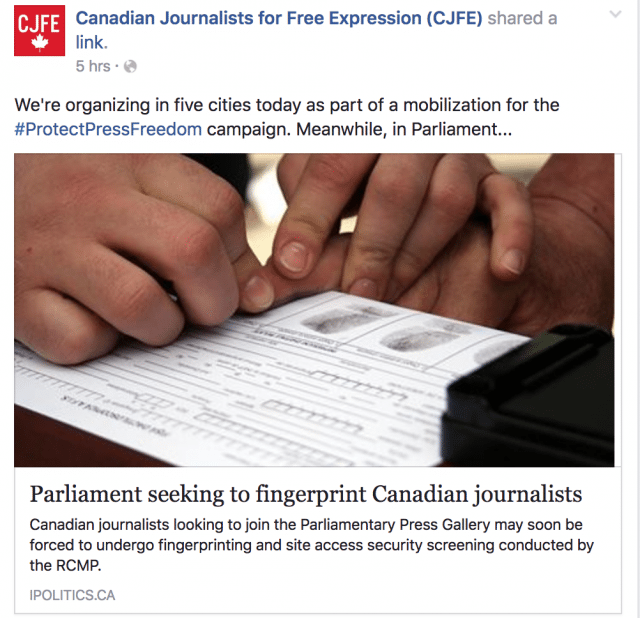 Photo courtesy of Justin Stayshyn. 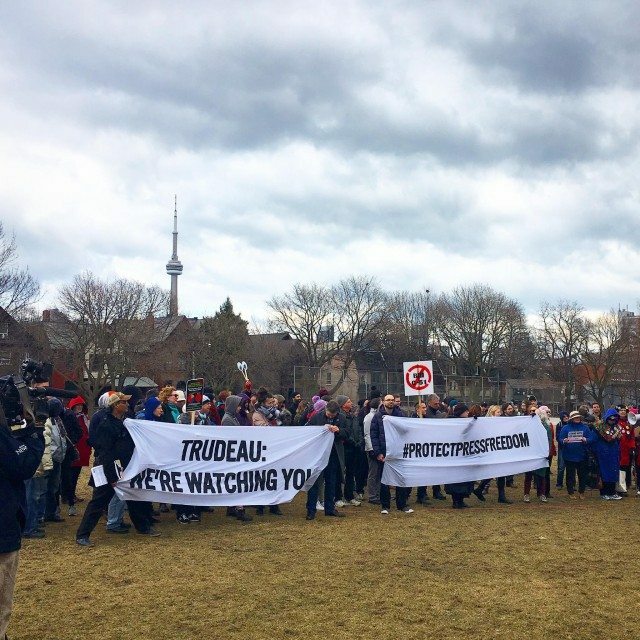 Demonstrators gathered in Trinity Bellwoods Park Saturday afternoon, as part of a Protect Press Freedom campaign, organized by Canadian Journalists for Free Expression (CJFE). This, on the same day as journalists are warned they may soon be fingerprinted to cover Parliament Hill.